A few days ago CVH posted this article about the Archer deck that took him from rank 3 to top 5 legend. After having played with the build for a bit and getting legend with it after losing two games in rank 1 and winning the rest I will try to discuss different tech options in the decklist and compare it to TVP9’s list amongst others. I won’t go in-depth with the strategy of the deck; if you have any questions I suggest you read CVH’s guide or find TVP9’s forum post about the deck that he used to get rank 1 legend and finish 2nd place in the Friends and Foes tournament that took place a few weeks ago. Why Play Archer in the First Place? The Archer is one of the cheapest classes to play simply due to it not requiring on too many legendaries to be effective, the only two in CVH’s build being Tazkad and Ungolim. The class has some of the strongest removal in the game, since you can easily proc the effects of cards like Finish Off and Leaflurker which in other builds sometimes can be a bit tricky to pull off since you have to setup a trade on board which can be hard if you have no board or your opponent just played a big game winning threat in the shadow lane. The general activator core for this is Rapid Shot, Sharpshooter Scout and Skaven Pyromancer. These are the synergies that make room for you to play cards like Murkwater Savage and Nimble Ally and just apply pressure to your opponent’s face since you almost always have answer in hand for their prophecies. The general consensus from pretty much everyone is the fact that Sharpshooter Scout and Rapid Shot are necessary as 3-offs in every build. The utility that they offer is incredible both going first and second, while I would most likely never keep Rapidshot in my opening hand, there is an argument for keeping it going second if you have two insane cards in your hand since the card offers some much needed cycle, while setting up for good trades on board. The final agreed 3-of in every build is the 3 magicka card Skaven Pyromancer. Skaven offers a lot of utility and is incredibly powerful against Willpower decks to counter the likes of Imperial Reinforcements and early pressure starts with cards like Scouting Patrol. In the later stages of the game the card can also be used as an activator for cards like Finish Off, Leaflurker and Falinesti Reaver as previously mentioned. The final piece of the Strength removal package is Earthbone Spinner, and what an incredible card it is. The card is insane; stats wise the card is not as good as Deshaan Avenger but the insane utility the card offers is core to the decks game plan, allowing you to push through taunts and remove cards like Dune Smuggler even if they are covered. This card was the main reason that I started playing Archer. It is incredibly solid and is a no-brainer as a 3 off in my opinion. The final core card in Strength is Triumphant Jarl, the deck’s main cycle. As a six magicka 4/4 that you very often get to push out for free with Soulrest Marshal, Triumphant Jarl might one of the biggest power cards in the game entirely; the body is not terrible and card draw is incredibly huge for a deck where you are very unlikely to lose any runes coming up on turn six in a game. The card is absolutely detrimental for opponents if it comes down on turn 6, since you are able to refuel your hand that you have emptied trying to to pressure your opponent in the early game. The card is never a completely bad topdeck since you most of the time can push a few points of damage to your opponent’s face and it is amazing if you get the card draw. which turns it into a 2/2. Personally I would call them more of a tournament/meta-reactionary card since they are great against slower decks but might just get over run against a lot of the faster zoo-type decks that we are seeing a lot of on ladder at the moment. CVH’s inclusion of the seven magicka card Belligerent Giant was a little odd to me at first since you are playing a seven mana, non-finisher card, in your deck but the utility this card offers is so insanely big that I would maybe consider this card pretty close to core for the class since it offers a much needed hate-card for support cards like Divine Fervor and Goldbrand which have taken over the meta by storm recently since both cards are relatively easy to get a hold on(both being story rewards) and both are incredibly powerful and probably the two best support cards in the game. The other really big side effect of running this card is the fact that it can act as extra removal in case you need to remove a big threat from your opponent’s side of the board or setting a lethal on your current turn or on the following turn since the 7/4 stat line is incredible pressure. This card is nowhere to be seen in TVP9’s list since he is going for a slower game plan where he has more big threats and wider board removals with Falinesti Reavers. Another peculiar card in CVH’s build is the Grahtwood Ambusher. As a five magicka 4/2 it is obviously very under-statted for a five drop, but the fact that the card has prophecy and is another AoE-effect relents some pressure from Skaven Pyromancer as your only answer to flood cards. It is also another activator for Finish Off and Leaflurker making it incredibly versatile since you can almost always get some value from it. Burn and Pillage is the strongest non-combo AoE we have access to while playing Archer. While they are not in the previously mentioned builds the card has taken me by surprise a lot of times in the past week or so and is frequently seen in the faster versions of Archer. The card is insane as a top deck late game since you push a lot of damage in the early game often making it a better Ice Storm for the same magicka cost. Sometimes it can even do five damage relatively easily which sets up for a lot of possible comebacks late game. 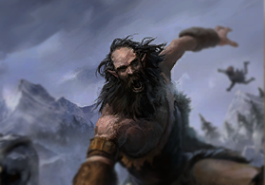 In part two of this article, we will be discussing the core cards and tech cards in Agility and the class-specific Archer cards!